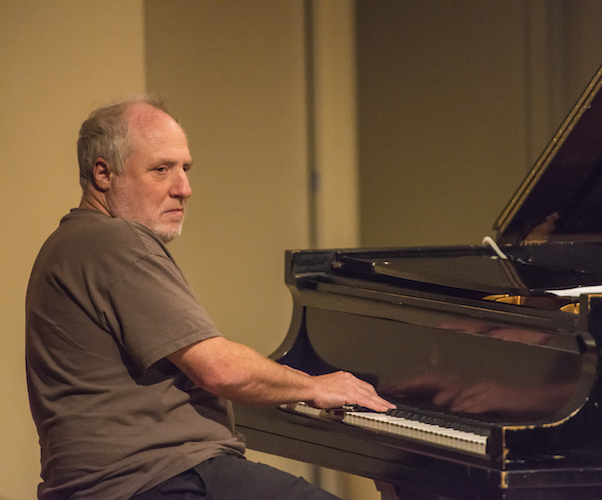 Pianist and composer Anthony Coleman has gained recognition as an inspired player and talented standout of the avant-garde and klezmer-oriented jazz coming out of N.Y.C. 's downtown throughout the '80s and '90s. Coleman has performed and recorded with just about every musician involved in this downtown scene, including John Zorn, guitarist Elliott Sharp, David Moss, renowned trumpeter Dave Douglas, premier accordion player Guy Klucevsek, David Shea, former Captain Beefheart bandmember Gary Lucas, classical and klezmer clarinetist David Krakauer, guitarist Marc Ribot, and many more. Coleman has performed and recorded all over the world, with his groups Sephardic Tinge -- they've toured Europe three times, and released two CDs -- and the Selfhaters, all releases on the Tzadik label. Found on the related Avant label is Coleman's Disco by Night, a recording inspired by his experiences in ex-Yugoslavia. Through most of the '90s, Coleman and saxophonist Roy Nathanson have co-led projects, performing all over the U.S. and Europe together. The duo has also recorded several albums, including Lobster and Friend. Coleman has received commissions for his compositions from various ensembles including Bang on a Can, Concert Artists Guild, and the Crosstown Ensemble. His compositions can also be heard on harpist Carol Emanuel's Koch release Tops of Trees and Guy Klucevsek's accordion extravaganza Manhattan Cascade, among others. In 2006, Coleman released two albums, Shmutsige Magnaten, in which he played the songs of Yiddish folk composer Mordechai Geburtig, who died during the Holocaust, and Pushy Blueness. Francisco Mela was born in 1968 in Bayamo, Cuba. He moved to Boston in 2000 to pursue a degree at the acclaimed Berklee College of Music and, quickly thereafter, the faculty recognized that Mela had much to offer students and promptly hired him to teach at the school. Mela rapidly made a name for himself on the Boston scene, becoming the house drummer at the legendary Wally’s Café Jazz Club. It was at Wally’s that Mela began developing a concept for his own band, one that would feature the sounds of modern jazz with the traditional music he grew up with in Cuba. Mela’s first CD, Melao was released in 2006 and called one of the best albums of the year by All About Jazz. Similarly, The Village Voice picked Melao as the best debut by an artist of ‘06. Mela’s second release as a leader, Cirio, was recorded over a week-long period at the Blue Note for Half Note Records in 2008. The recording featured an all-star cast of Mark Turner, Jason Moran, Larry Grenadier and Lionel Loueke. Blog critics wrote “this is modern jazz of high order, but with Mela's own touch of Havana added...” affirming Mela’s unique niche in the melting pot that is now New York’s “jazz scene.” WDUQ picked the album as one of the best jazz CDs of 2008. Mela’s third recording, Cuban Safari, is an amalgamation of his favorite bands that inspired him to become a drummer – Miles Davis’ fusion group featuring Chick Corea and Keith Jarrett, Weather Report, and the Latin-jazz super group Irakere. On his second release on Half Note, Tree of Life, Mela offers a passionate fusion of Cuban polyrhythms and propulsive modernism. The album is spirited evidence of Melaʼs distinguished place among young group leaders. It received critical acclaims by Downbeat, Jazziz, All.about.jazz.com, irockjazz.com among others. It was nominated for “2011 Latin Jazz Boundary Breaking Album” by Latin Jazz Corner, “Recommended release” by New York City Jazz Record and “Newest Best Jazz Takes” by Japan’s Diskunion. Downbeat magazine gave 4 stars to Tree of Life. FE (2016) is Francisco Mela's fourth and most recent project as a leader. The self-released album spotlights two standout musicians that join him to form The Crash Trio, pianist Leo Genovese, and bassist Gerald Cannon. Appearing as a featured guest on the recording is legendary guitarist, John Scofield. Early response to the album has been overwhelmingly positive, and the trio received tremendous support when they toured parts of Europe earlier this year. FE is of particular significance to Mela and is a tribute to his late parents. The Crash Trio will be performing this fall through 2017 in support of the new album. Henry Fraser (b. 1991) is a bassist, composer, and improviser from Boston, MA. He received his BA from New England Conservatory of Music in the spring of 2014, where he studied with Cecil McBee, John McNeil, Dave Holland, Anthony Coleman, & Ted Reichman. Henry's parallel pursuits of technical mastery and novel experimentation have put him at the forefront of the experimental music scene in New York and beyond, playing at such venues as Moers Festival, Panama Jazz Festival, New Orleans Jazz & Heritage Festival, (Le) Poisson Rouge, Roulette Intermedium and Joe's Pub. Henry has worked with Joe Morris, Tony Malaby, Mat Maneri, Weasel Walter, Axel Dörner, Judith Berkson, Ryan Power, Charmaine Lee, Chris Pitsiokos, and many others. Current projects include CP Unit, Brandon Seabrook Trio, Anthony Coleman Trio, The Full Salon, and solo music for the double bass.